This large swallowtail is one of Singapore's forest-dependent species that is rarely, if ever, found in urban parks and gardens. 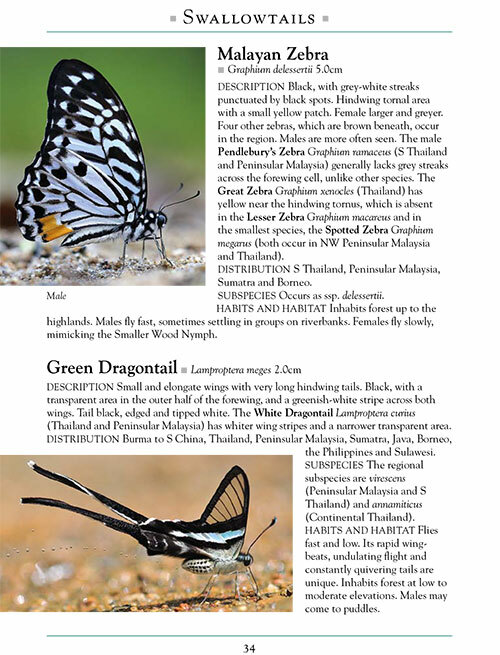 They are often seen flying erratically amongst the treetops and stopping to feed when Saraca and Syzygium trees are flowering. A large species with a wingspan reaching 140mm in females, the Great Helen is considered moderately rare. Seasonally, sightings of several individuals flying in the same locality have been reported. 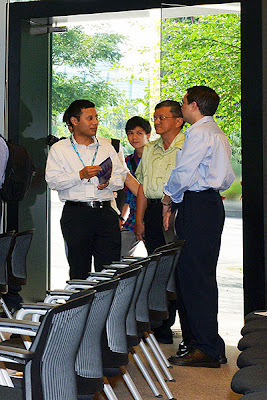 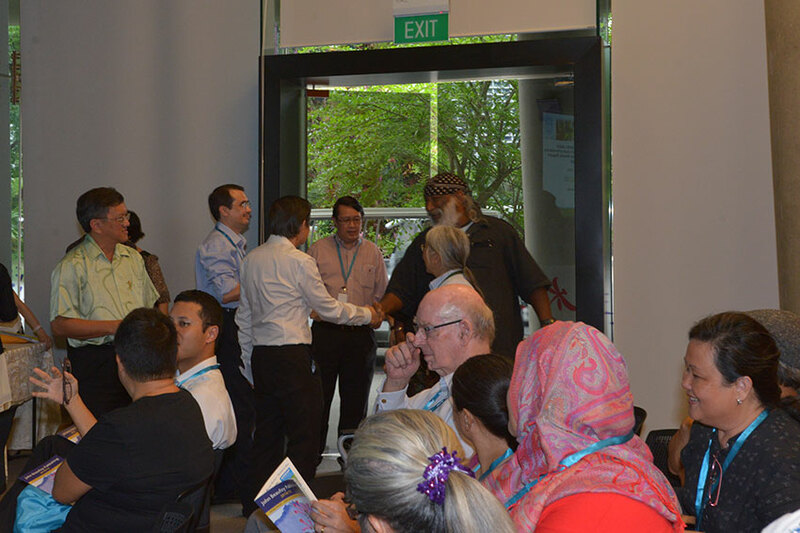 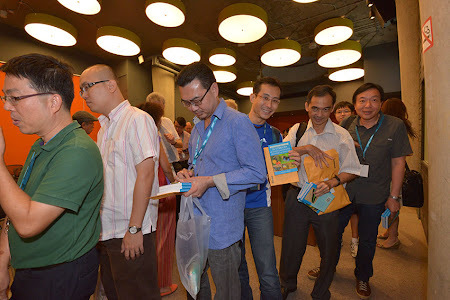 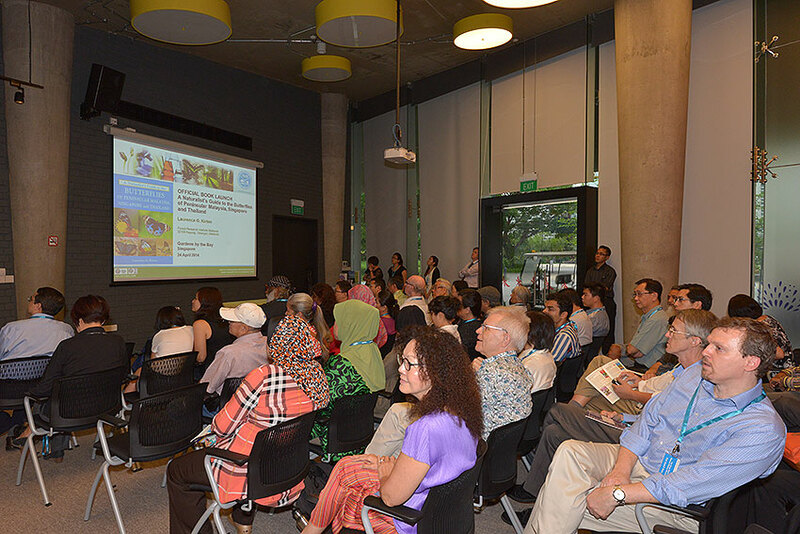 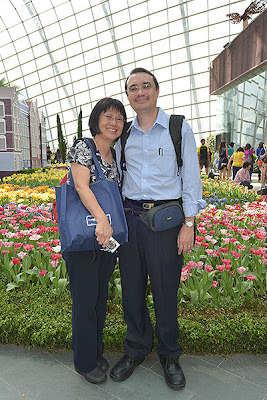 This photo is interesting, in that the Great Helen has rarely been photographed puddling in Singapore. 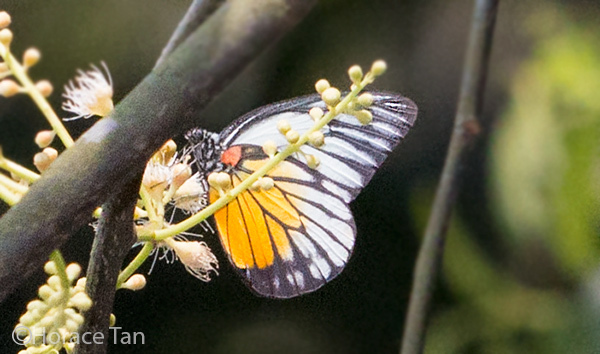 Both males and females have always been observed flying amongst the treetops in the forests. 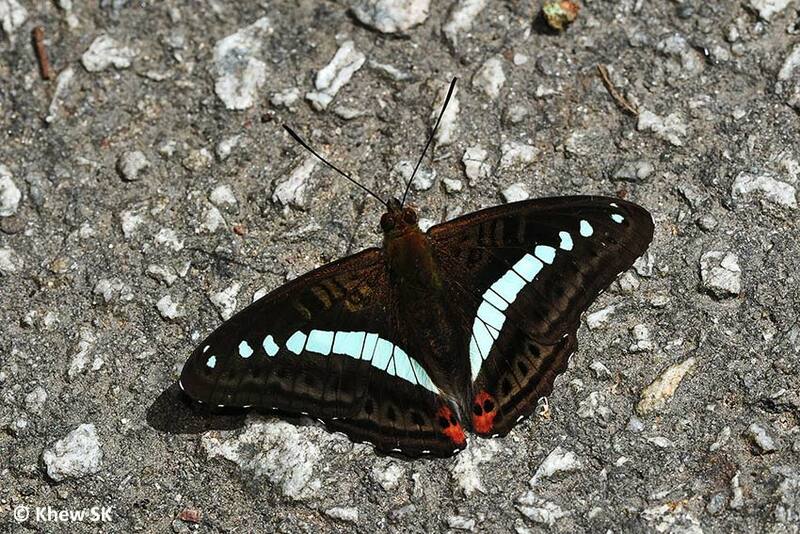 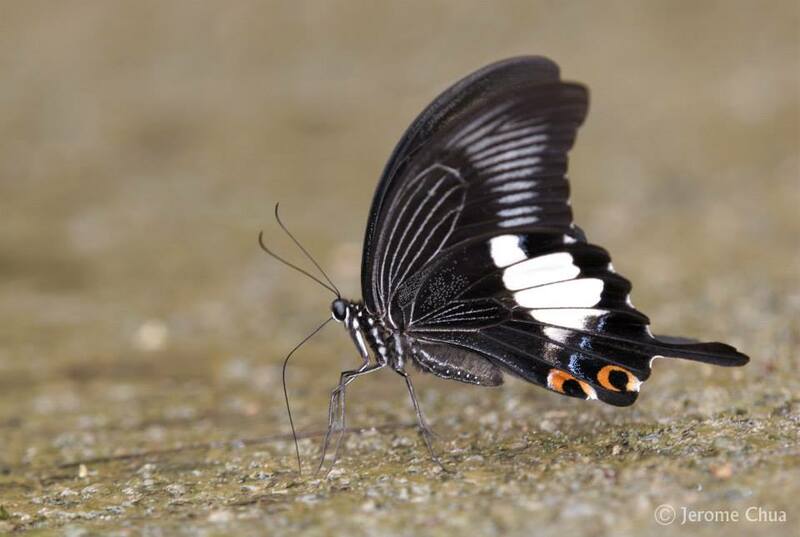 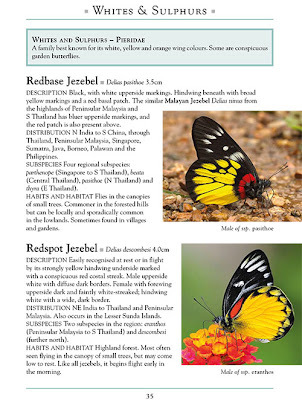 Although this species has been seen puddling in Malaysia, this is the first time that anyone has captured evidence that it does puddle locally if conditions are right. 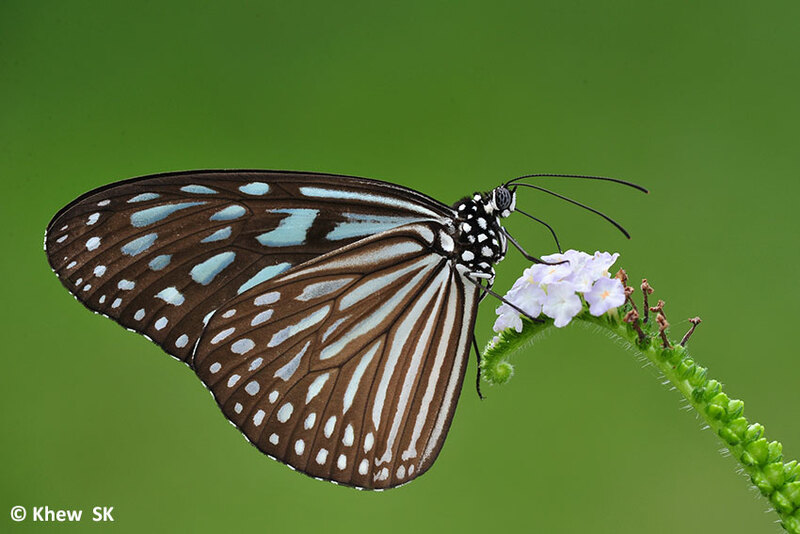 This shot was taken by ButterflyCircle member Jerome Chua. The hot and dry months of February and March in Singapore finally gave way to the much-needed April showers. It was certainly a welcome relief for the parched vegetation and almost like magic, one could see fresh green sprouts of grass and new shoots emerge from the trees. 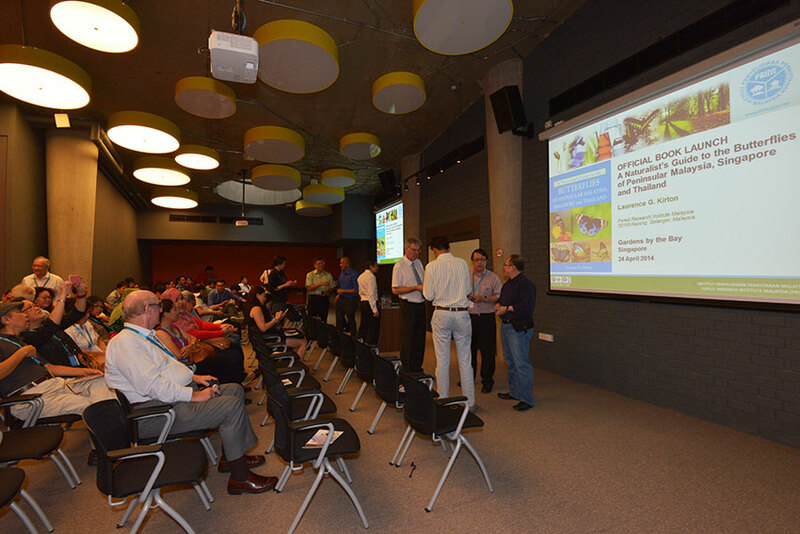 Well into the month of April, many trees burst into bloom en masse all over the island, prompting Singaporeans to associate the colourful flowering with the Japanese sakura season. 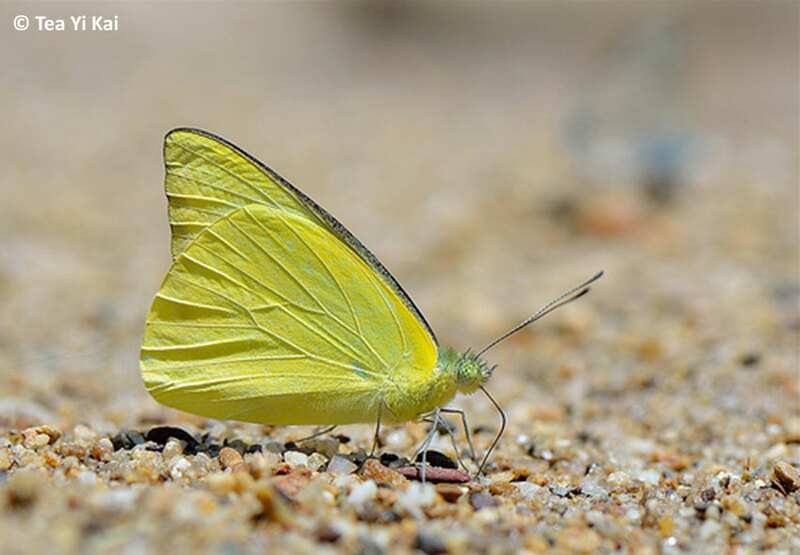 It was also a time of grief, just after the MH370 episode last month, when a South Korean ferry, The Sewol, carrying 476 passengers and crew, capsized on Wednesday on a journey from the port of Incheon to the southern holiday island of Jeju. 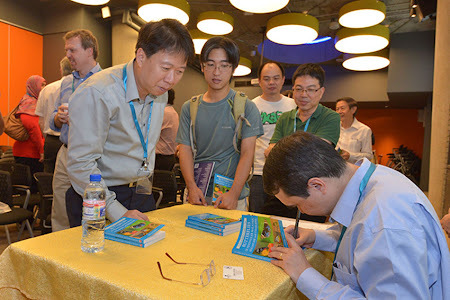 The ferry sank with 476 people aboard, 323 of them from a single high school in Ansan. 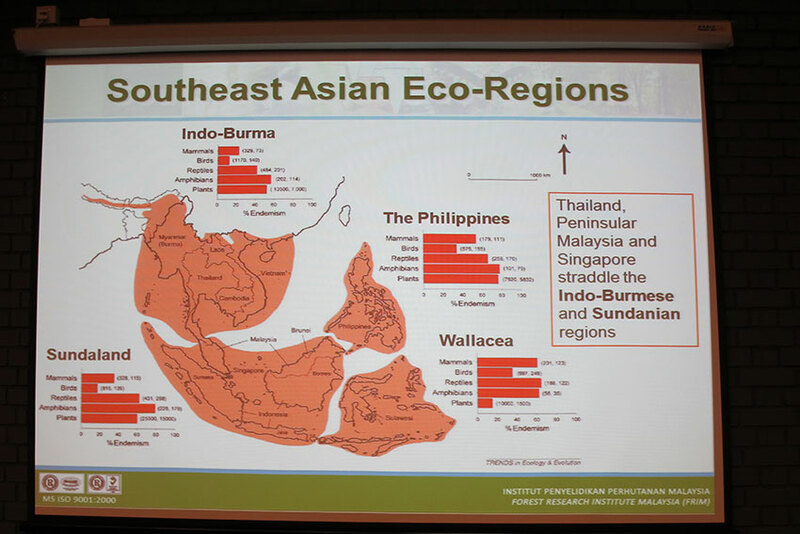 Thirty-two bodies have since been recovered, and 174 people survived the disaster. 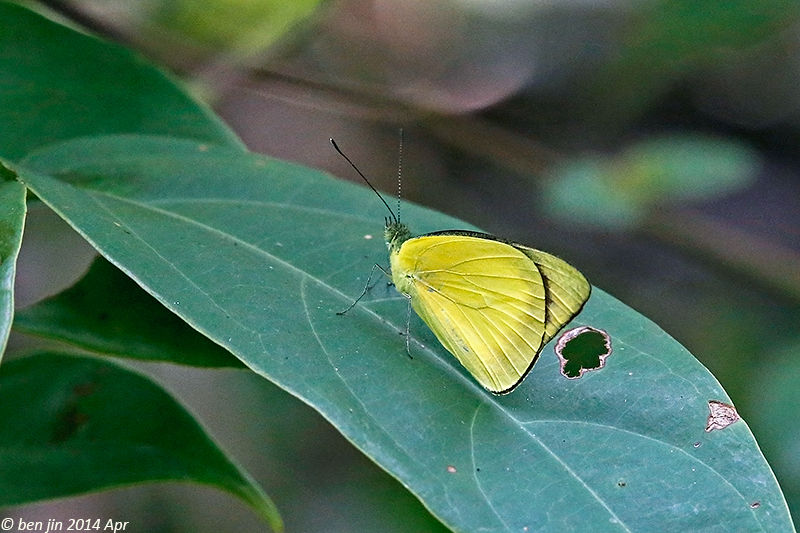 The search for the remaining passengers is still in progress at this point in time. 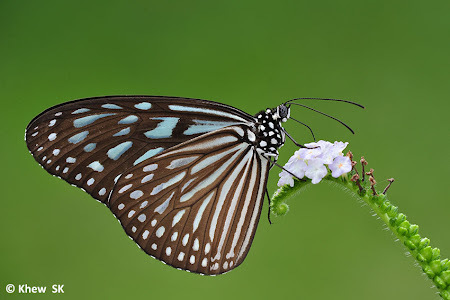 Over on Mount Everest, the world witnessed the devastating force of Mother Nature when an avalanche on the slopes of Mount Everest killed at least 15 Nepalese Sherpa guides on Friday, making it one of the deadliest days in the history of mountaineering on the world's highest peak. 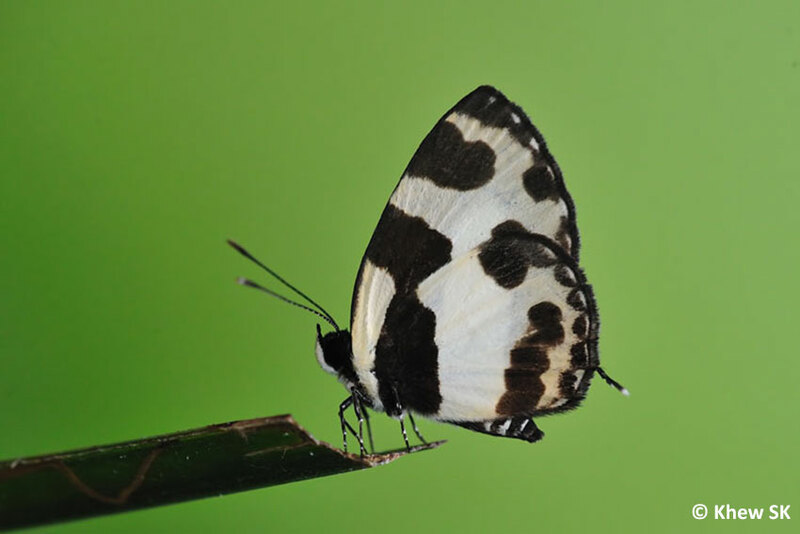 Rescuers managed to pull seven people alive from beneath snow and ice, Three critically injured guides were airlifted to the Nepali capital of Kathmandu. 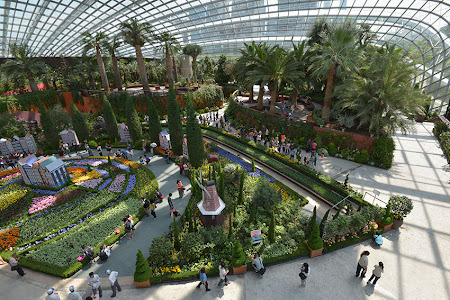 Singaporeans and residents here will experience an awe-inspiring display the colours of the Netherlands with the start of the Tulipmania exhibition in the Flower Dome at Gardens by the Bay. 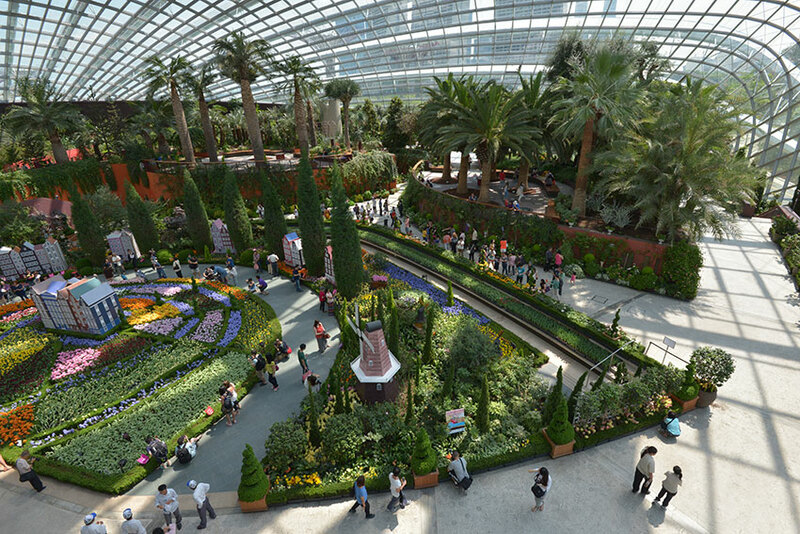 About 50,000 blooms, air-flown from the Netherlands, cover the changing display area of the Flower Dome, giving a spectacular splash of colours that is sure to delight visitors here in Singapore - and they don't have to travel all the way to Amsterdam to enjoy the visual treat! 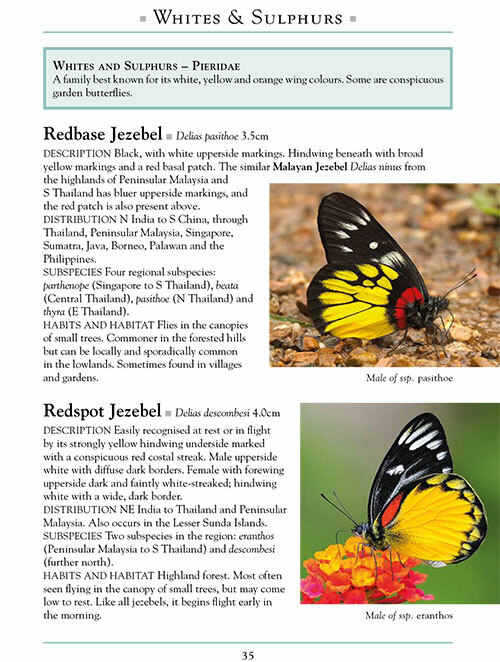 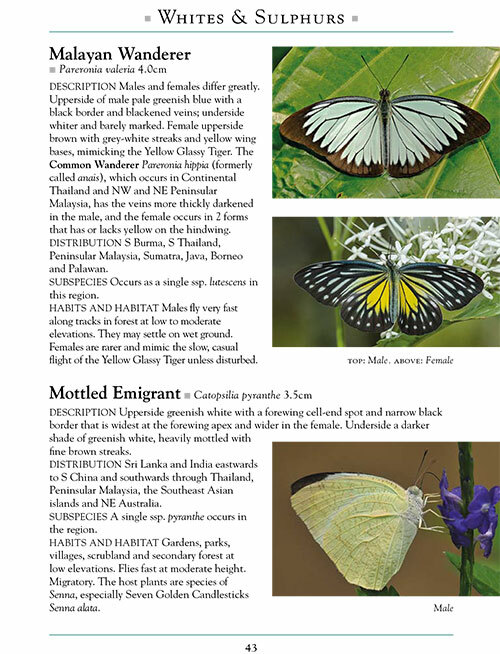 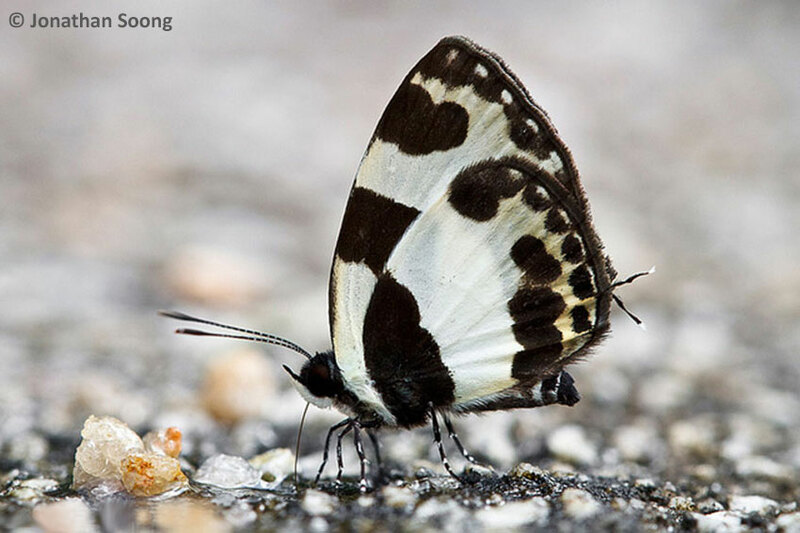 For the month of April 2014, we feature the diminutive Lycaenid, the Elbowed Pierrot (Caleta elna elvira). 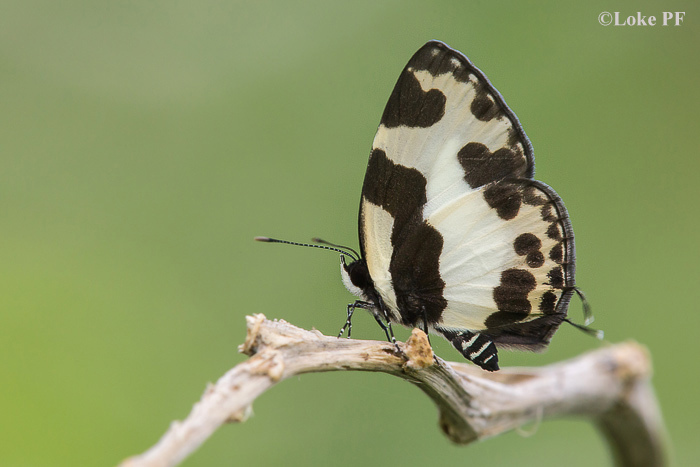 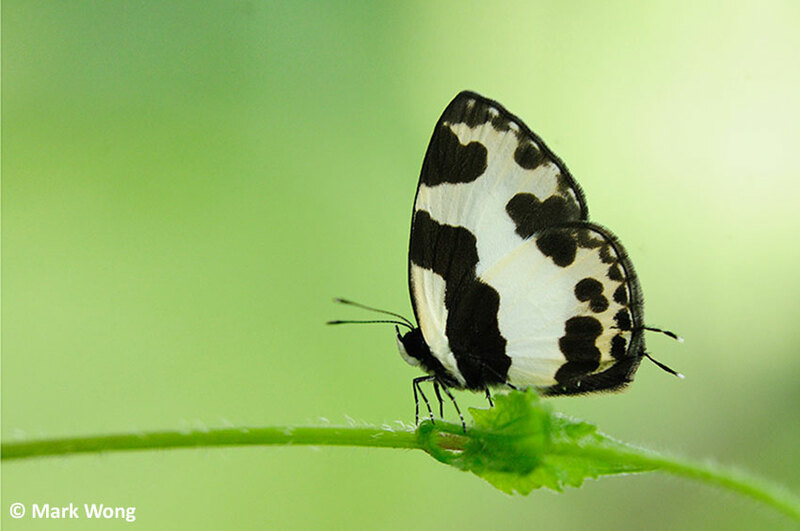 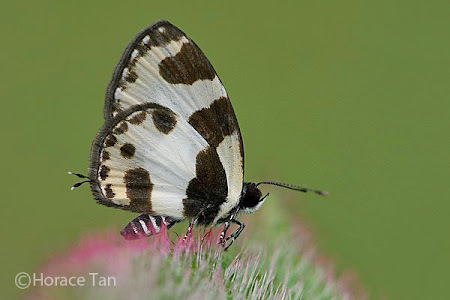 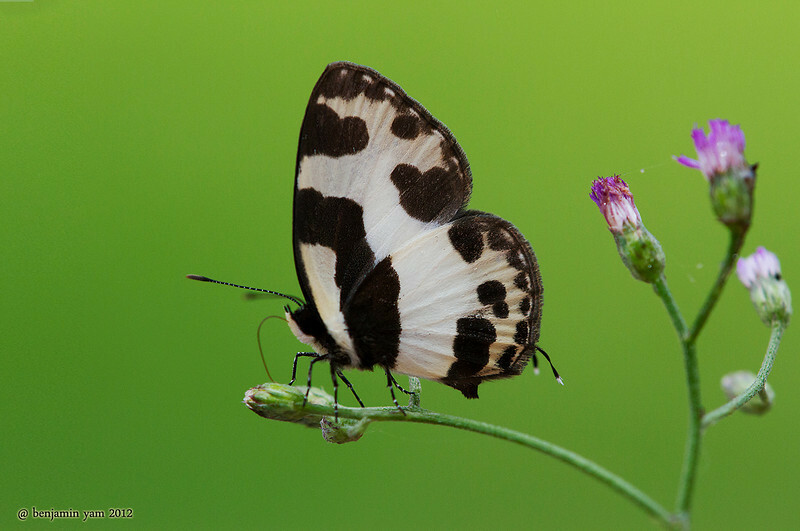 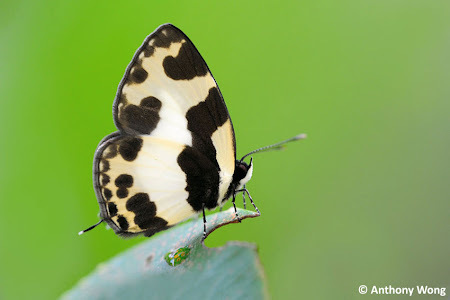 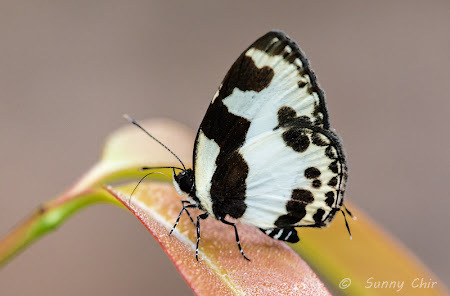 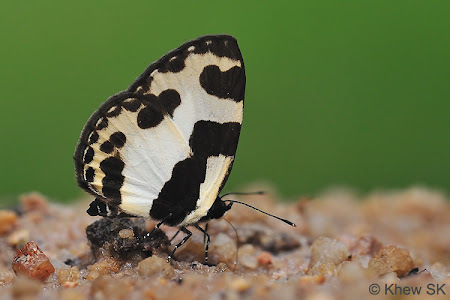 A black-and-white butterfly, the Elbowed Pierrot is seasonally common in Singapore, where it is found mainly in the forested nature reserves. 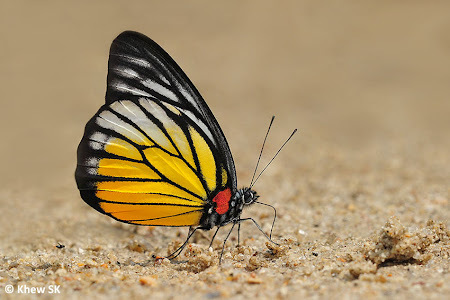 It flies with an erratic and rapid flight, fluttering restlessly amongst the shrubbery and open footpaths within the nature reserves. 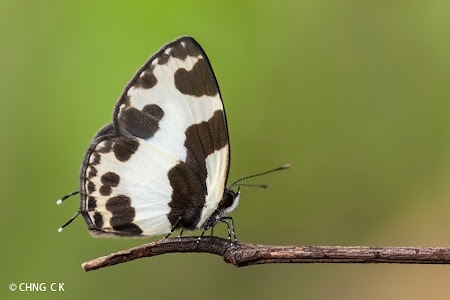 The Elbowed Pierrot is predominantly black above, with a broad white band extending across the forewings to the hindwings. 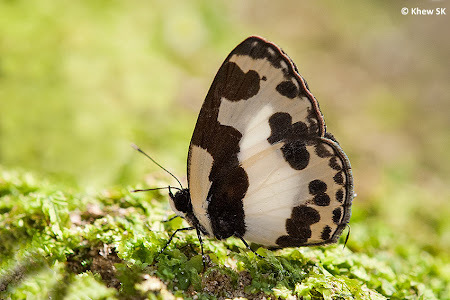 The underside is white with an angled sub-basal band on the forewing which probably gave the butterfly its common name. 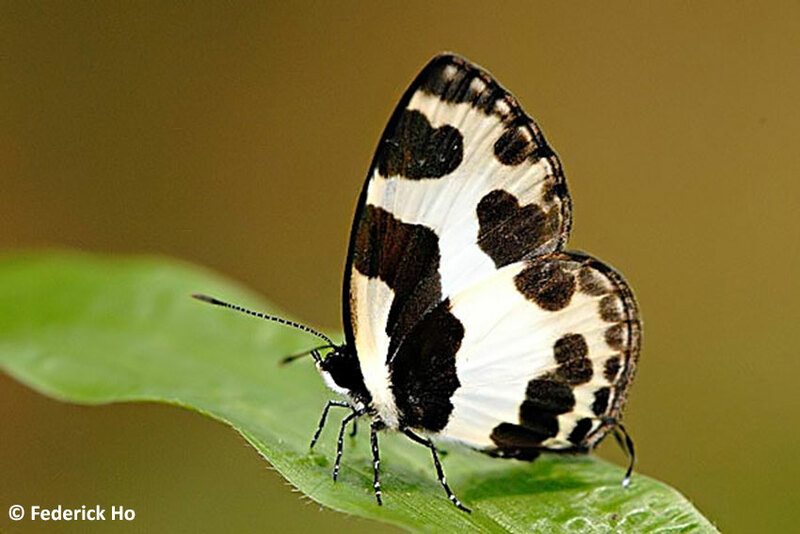 There is a series of conjoined post-discal black spots on both wings. 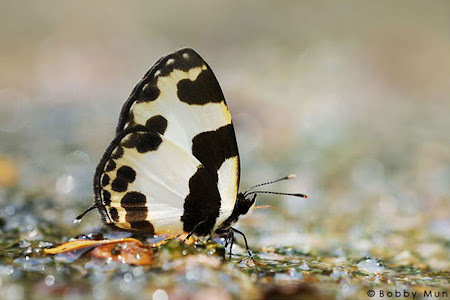 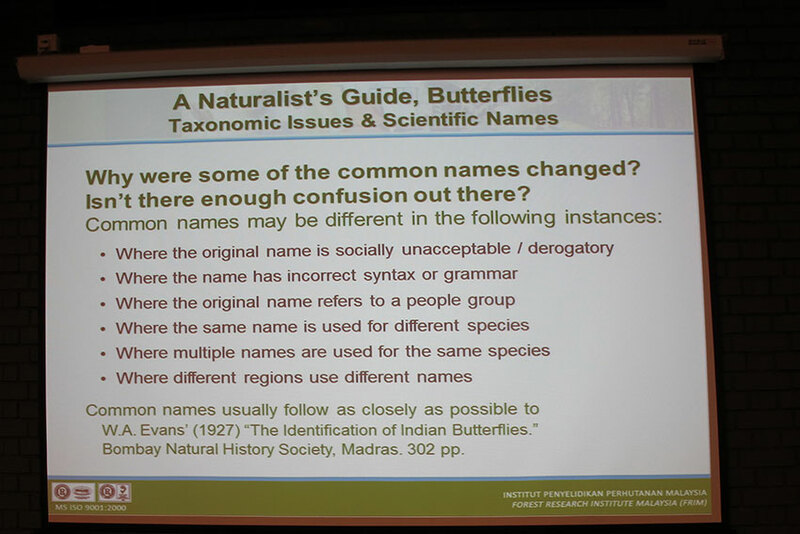 The butterfly is most often spotted and photographed when puddling at muddy forest paths and sandy streambanks that are tainted with decomposing organic matter. At times, several individuals can be seen puddling together with species of other families of butterflies. There is a white-tipped filamentous tail at vein 2 of the hindwing. 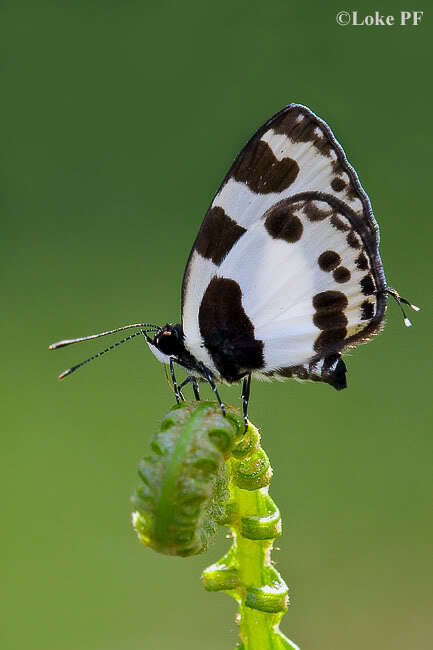 The abdomen of the butterfly is striped black and white, as are its legs. 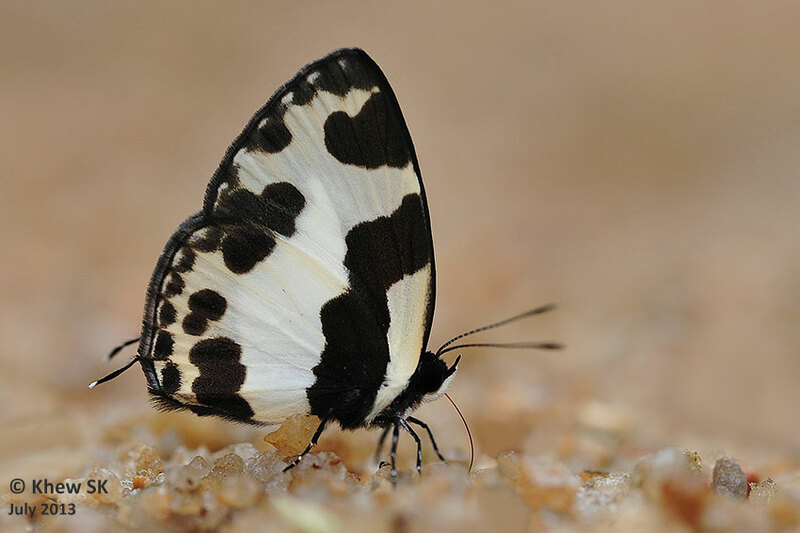 The eyes are an opaque jet-black, with prominent white and hairy palpi. It has a habit of fluttering around low bushes and then settling on a thin twig or the tip of a leaf to rest, whilst sliding its hindwings up and down to animate its tails. 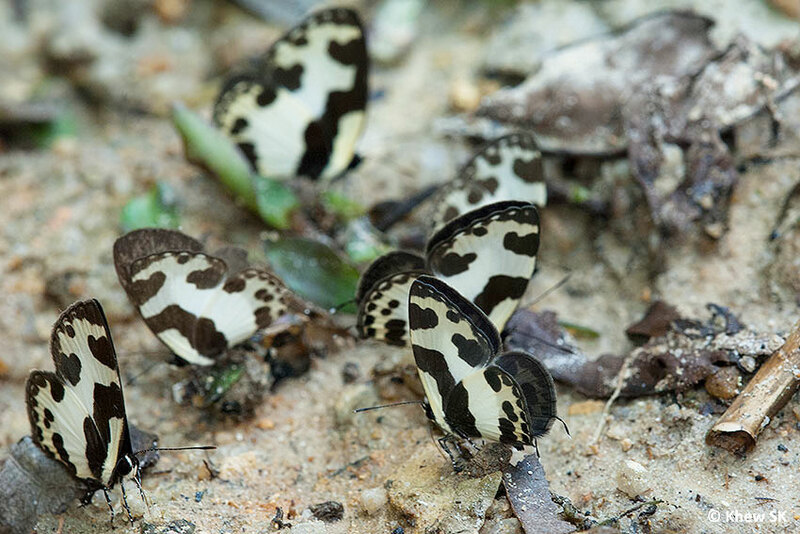 A group of puddling Elbowed Pierrots. How many can you see? 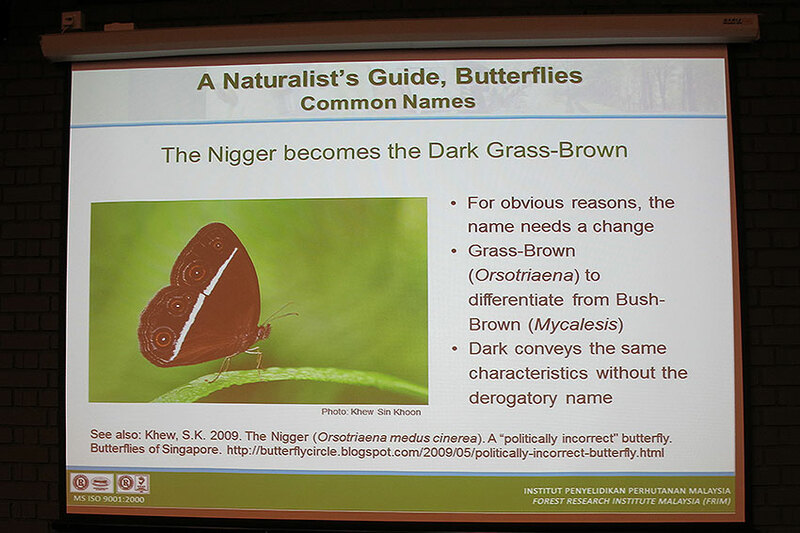 It has been locally bred on Ziziphus sp. 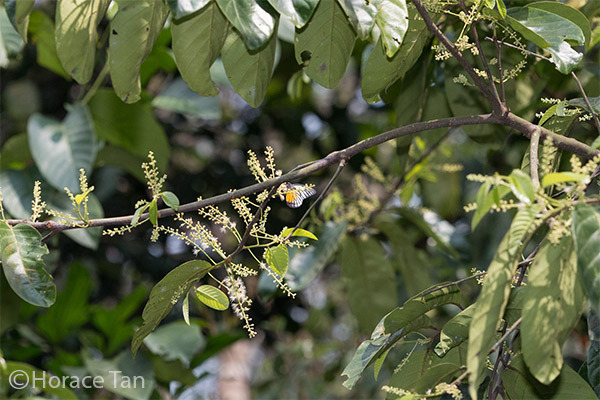 a thorny straggling shrub that is relatively common in the nature reserves. 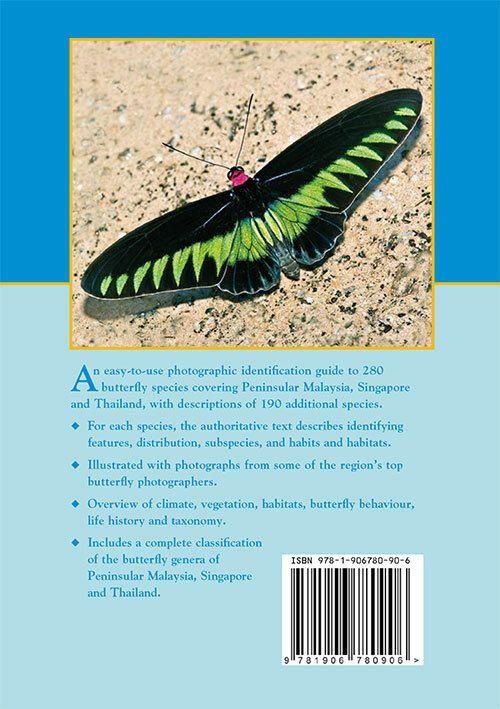 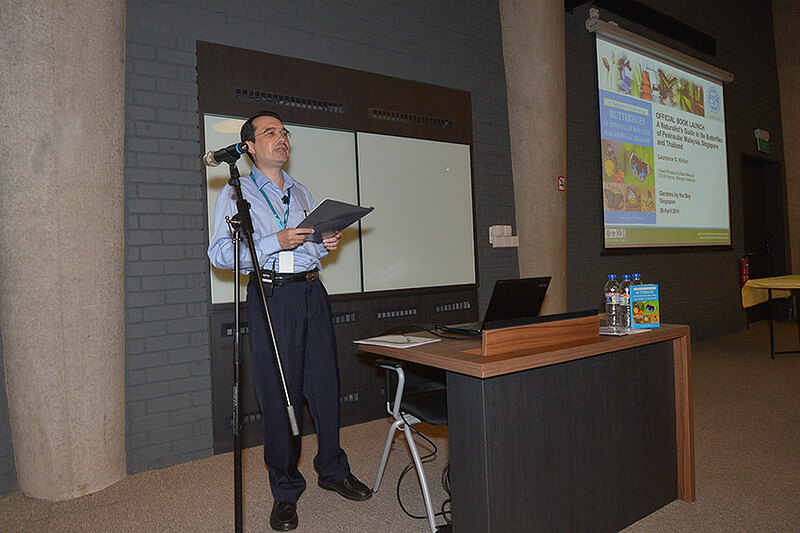 The life history features only 4 instars at its caterpillar stage. The entire documentation of its life history can be found here. 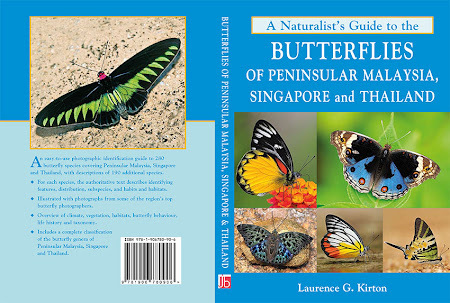 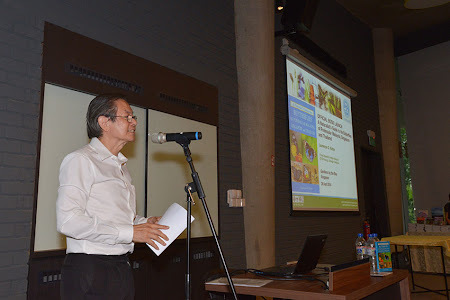 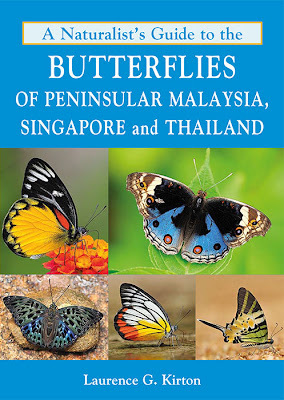 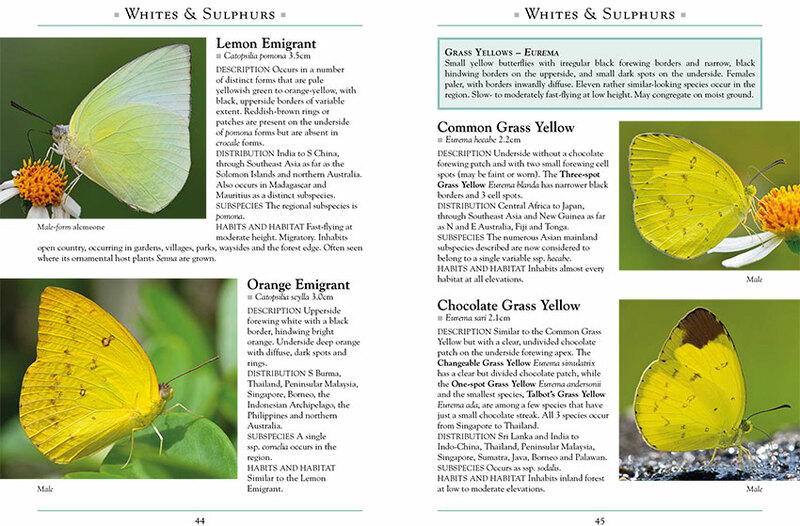 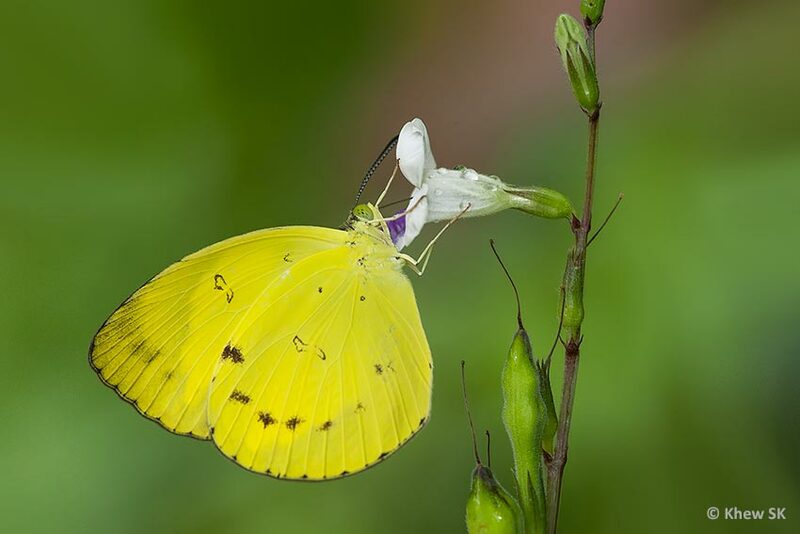 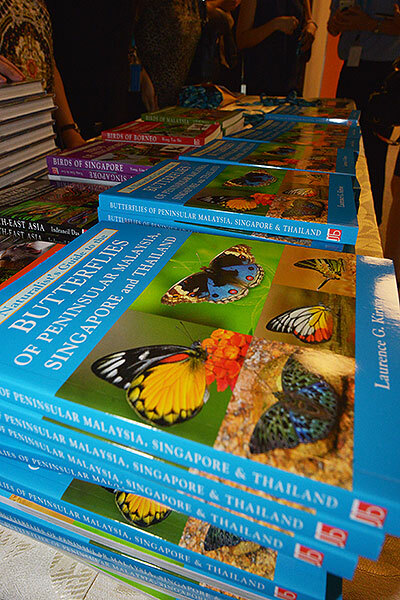 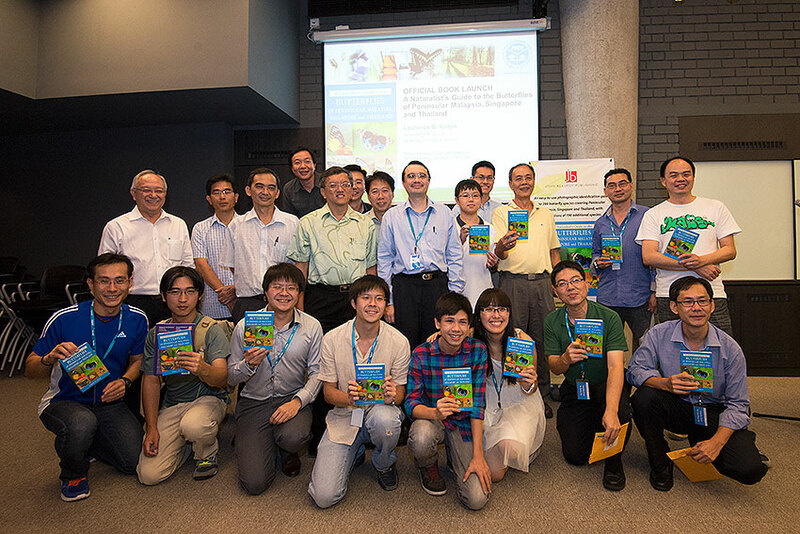 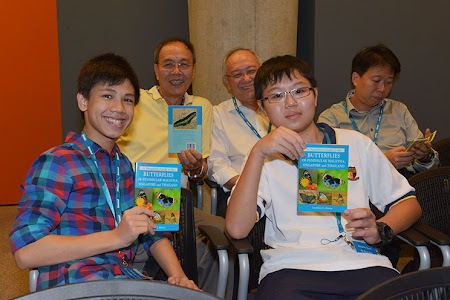 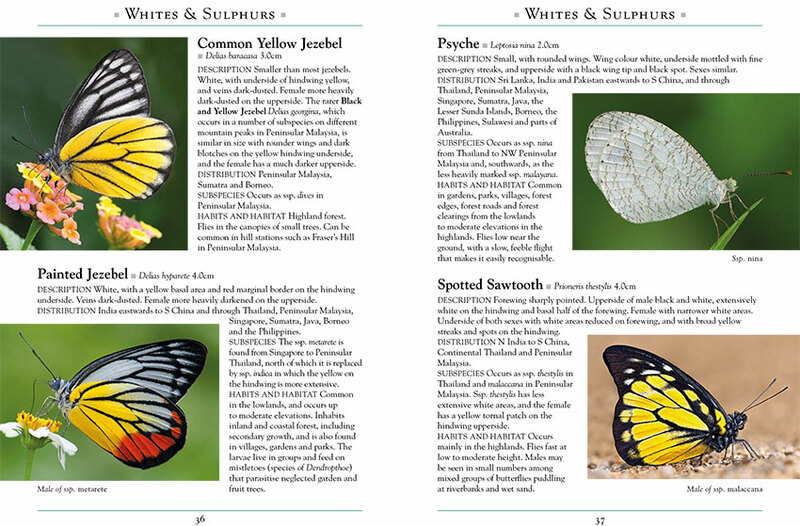 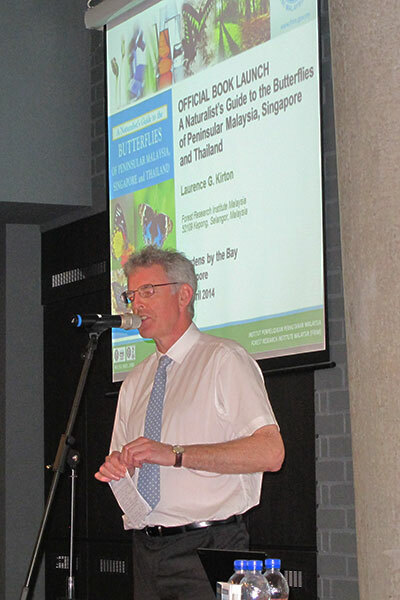 This blog article is dedicated to Simon Sng, a veteran butterfly watcher and photographer, and a long-time friend and active supporter of ButterflyCircle. Simon's avatar and nick in the ButterflyCircle community is the Elbowed Pierrot.